Nothing in my fourteen-year hospice career ever could have prepared me for June 9, 2005, when my mother and my two adult children were flown to Shock Trauma in critical condition following a motor vehicle accident. I was not prepared for the “save life at all cost” philosophy or the total disregard of my mother’s advanced directives. I was not permitted at the bedside or even informed that she was dying. Locked down on the first floor waiting room, my husband, my brother and I had no access or updates. We knew only from the initial telephone call to my work that a man had run a red light and crashed into my mother’s car. The man had been operating his father’s truck and hauling his sister’s disabled car on a dolly. The accident occurred close to home at approximately two p.m., and I received the telephone call at work by three p.m. An RN named Jim told me only that our son had sustained multiple injuries, including a serious liver laceration, concussion, fractured ribs and a lacerated spleen. He had been unconscious upon impact, but now was awake and unable to remember the accident. I insisted upon speaking to my son, and to his credit, Jim put the phone up to my son’s ear. I tearfully expressed my love and said I was on my way. Our twenty-one-year-old daughter was “stable” and reportedly undergoing a series of scans. There was absolutely no word about my mother’s status. The nurse had urged us to proceed to the hospital as quickly as possible. I called my husband and only surviving brother with the scant details. After sitting in the waiting room until 5:30 p.m., I could not wait any longer for information, and I told the clerk I was upset. No one had spoken to us since my initial phone contact with Jim. If my son or mother were in critical condition or in danger of dying, then I needed to be at the bedside, even for a moment. Furthermore, I was my mother’s legal health care agent and had her written directive with me. Eventually, a physician and nurse came down to deliver the news. We were asked to come with them to a small conference room. Since other doctors had been delivering news to different families in the public waiting area, I was sick with fear, and a deep sense of despair swept over me. The death notification they delivered was cold and blunt, without compassion or awareness of the grief process. My mother was dead. Our son remained in critical condition due to his liver laceration and required a groin catheterization to determine the extent of his injury. Our daughter was “stable” and could possibly be discharged home later that night. No ancillary services were ever offered, and we were too numb with shock and grief to ask. Outside the conference room, a police investigator waited with questions for us. The outburst of emotions from my brother and me ranged from disbelief and anger to almost rage. We were upset and distraught at the medical team for not bringing us up to the floor as soon as possible to be at our dying mother’s bedside. We did not wish to waste time with the police who had failed to run a drug and alcohol test on the driver who killed our mother. We demanded to see our mother’s body first, and we were told it would be difficult, since there was no privacy—only a large room with curtain dividers. When we insisted, the staff reluctantly conceded. We were instructed not to tell our children that their grandmother had died, since our son was still facing a groin catheterization, so we agreed to abide by their rules. Our grown children were two beds over and lying flat on their backs with neck collars so they were unable to see us enter. A policeman was guarding an injured prisoner in the bed next to my mother. Staff continued to view her scans and discuss her case: “A classic T-bone fracture of the pelvis.” They were literally feet away from where we knelt by her bloodied, lifeless body. We had to close the flimsy curtain around her bed as we struggled to comprehend what had happened. Our recovery process was significantly impacted by our anger and frustration at the hospital’s medical-model approach. My mother’s intubation tube was never removed, and her toe was tagged in our presence. The message was clear: No mourning allowed. Move on to your children, and ignore any questions about grandma. No condolences were offered; only a purple folder entitled “Coping with Grief” when our daughter was discharged later that night. Our son was transferred to an upstairs unit, and we were not allowed to spend the night with him. Shell-shocked and feeling beaten up, we drove home with our daughter and returned the next day to help care for our son. Again, no social worker or chaplain services were offered. Overwhelmed and in tears by later afternoon, I requested a chaplain. He tried to listen and eventually located the shock trauma nurse who had been with the doctor to deliver the news the previous night. In the hallway outside my son’s room, she again coldly reviewed the facts culminating in my mother’s death. In sum, from my perspective, my mother died without us at her bedside, not knowing if her beloved grandchildren were going to live or that the accident was not her fault. When I kept repeating these concerns, the nurse simply stared at me in icy silence. The complicating factors for me were my hospice background, my mother’s clearly expressed wishes against heroics, and her final hours of struggling all alone. I understand why shock trauma exists—to save lives whenever possible—but when a person dies, the family needs empathy and understanding, not cold, clinical facts. Furthermore, when it is clear that someone is dying with advanced directives in place, then the medical team should consider honoring those wishes. My mother’s broken body and final hours of pain and suffering could possibly have been eased by having us at her bedside. We were and still are left feeling cheated and robbed of the gift of goodbye. The medical team may regret not saving her life. We regret that they did not honor the living or her wishes to prevent heroics. Our grief was further compounded by hospital demands to “compose ourselves” and “keep it together” for our grown children. We refused to release my mother’s body until our son’s procedure was over and he was told his grandmother had died. Before our daughter was released from the hospital, she wished to view her grandmother’s body, and while some staff understood her needs, others clearly showed their disdain. I dressed my daughter in surgical scrubs, since they had cut off all her clothing upon arrival at the hospital, and I wheeled her over to my mother’s bedside. She requested privacy to mourn alone, so I pulled the curtain closed and waited nearby. One resident asked why I would “force” my daughter to view a corpse as opposed to waiting for the funeral. Although dazed and numb, exhausted, saddened and fatigued beyond words, I quietly explained it was our daughter’s request to sit with her grandmother and privately mourn. He shrugged his shoulders and returned to view someone else’s body scans. The police officer guarding the prisoner heard the remark and offered a sympathetic look while shaking his head in apparent disbelief. Counseling has helped to ease our pain as we begin the process of healing. We will not “get over” what happened to us, but eventually, with caring and compassionate listeners, we will learn to live with our loss. Jim Englar is Manager of Support Services at Carroll Hospice in Westminster, Maryland. In addition to her work as a licensed social worker, she oversees the hospice’s volunteer, bereavement and spiritual programs. A dedicated hospice worker since 1991, she has witnessed the growth of the national hospice movement firsthand. Jill is a frequent speaker throughout Carroll County, Maryland, and has also presented for the Hospice Network of Maryland and most recently for the April, 2006, ADEC conference in Tampa, Florida. She has been the recipient of the “Excellence in Direct Service” and “You Make a Difference” awards in Maryland. Jill received her Masters in Social Work from the University of Maryland in 1975 and has been certified as a grief counselor with ADEC since 1998. 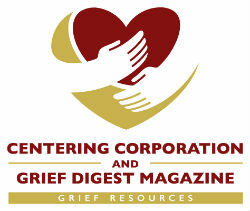 Her grief poetry has been published in ADEC’s The Forum and in Bereavement magazine. She and her husband have two adult children and currently reside in Carroll County, Maryland.